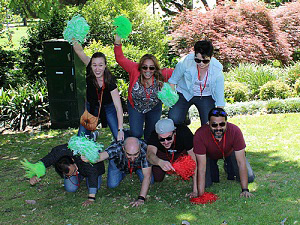 The Team Building Activity That Everyone Enjoys…..
Laughter, Enjoyment & Bonding! In One Easy Event. 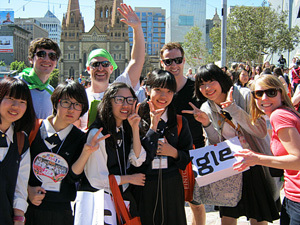 Amazing Race Melbourne launched in Victoria in 2011 and has been enjoyed by hundreds of teams and thousands of people. 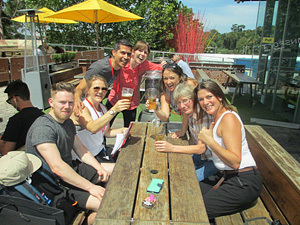 It suits everyone, participants young and old, fit and not so fit, introverts and extroverts. Everyone finds a way to contribute and all have plenty of laughs with teammates. 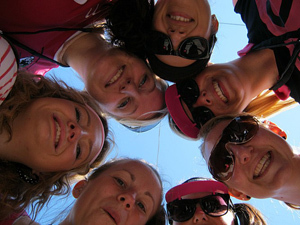 Is “book team building activity” on your to do list today? 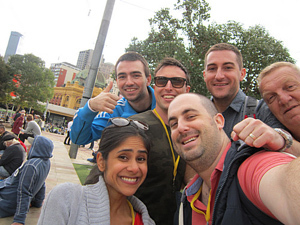 The Amazing Race Melbourne is the Melbourne team building activity that will tick all your boxes. 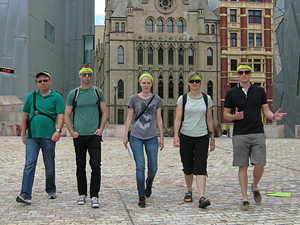 Amazing Race follows a simple treasure hunt format. Teams start together and race around the checkpoints. 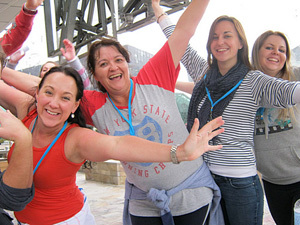 At each stop they complete challenging, fun and creative tasks. 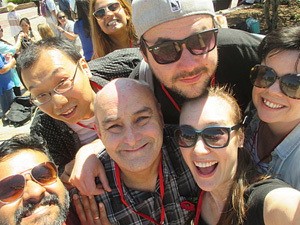 It’s rightly known as the great “all rounder” of team building activities – and particularly suits today’s diverse teams, because everyone can find common ground, build rapport and have a lot of laughs. 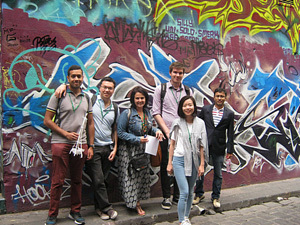 Catering for groups as small as 10 or as large as 100, Amazing Race Melbourne will get your team outdoors to make the most of our incredible city as they explore the best of central Melbourne. Those picky types who aren’t really keen on the whole idea? (You know the type). 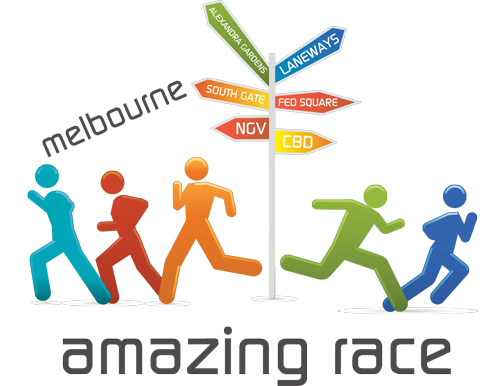 Amazing Race wins them over. Every time. Suits groups from 10 to 100. 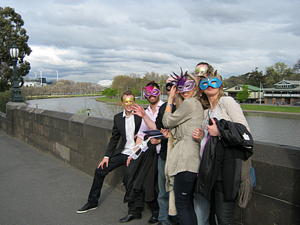 The event is staged in the very heart of Melbourne with the Yarra as the star; it includes the beautiful calm surrounds of the Botanic Gardens, to the river, then the bustle of Southgate, the intriguing Melbourne laneways including a special challenge in Hosier Lane. 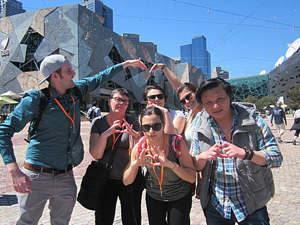 The final checkpoint is Federation Square. The event is around 2.5 hours. We can add or subtract 20 minutes to fit your timing. It is not overly physical and we discourage running, encouraging only a fast walk. We stop frequently to complete activities in the shade. 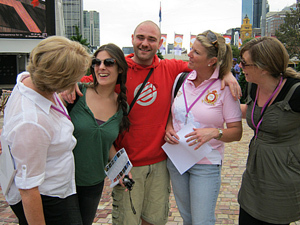 Amazing Race Melbourne has earned rave reviews from thousands of people in the past 10 years.